There are few industries that place a stronger emphasis on product safety, conformity and reliability than Aerospace. High levels of associated liability have led to a complex and diverse supply chain that imposes strict requirements on all phases of the product life-cycle…from design to production, warehousing and distribution. The BRC’s training courses are designed to help companies maintain the competency required to meet the various demands of the industry. AS9100 Rev. D is Here! 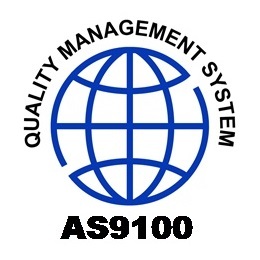 The IAQG (International Aerospace Quality Group) has officially released its new AS9100 Rev. D standard for aerospace quality management. This standard is based on the ISO 9001:2015 structure and content, with additional aerospace-related requirements that address challenges unique to the industry. Delivers a thorough understanding of the AS9100:2016 (Rev. D) requirements for aerospace quality management systems, along with a review of key concepts and techniques for implementing the requirements within an organization. Through a combination of presentation, discussion and hands-on exercises, participants will learn to apply the key concepts and principles of the standard to the existing processes within their organization. Building on knowledge acquired through previous training in the requirements of AS9100 Rev. D, this course delivers the practical knowledge required to conduct internal audits of an AS9100 Rev. D Quality Management System. Provides a basic understanding of the requirements for a QMS based upon SAE AS9100 Rev C, its inter-relationship with other elements of the AS9100 family of standards, and ISO 9001:2008. Covers areas of management responsibility and provides guidance to managers/supervisors and prospective auditors on what needs to be in place to meet the standard’s requirements. A review of the AS9100 Revision C standard followed by in-depth instruction on the skills and techniques required to participate as a member of an auditing team. Combines presentations and case studies with individual and group exercises to teach the skills required to perform internal audits of an AS9100 Rev. C QMS. Adheres to ISO 19011:2011 guidelines for the auditing of management systems. Introduces the Risk Management processes and addresses the specific requirements of AS9100 Revision C that are related to Risk Management. Participants will understand how risks are addressed at the different phases of product design, development and realization, and gain a working knowledge of the major tools that are used (FMEA). Highlights the requirements of the ISO 9001:2008 standard and delivers an understanding of what is involved in a practical, working Quality Management System. A review of the AS9110 Rev. B standard followed by in-depth instruction on the skills and techniques required to participate as a member of an auditing team. Combines presentations and case studies with individual and group exercises to teach the skills required to perform internal quality audits. Adheres to ISO 19011:2011 guidelines for auditing management systems. Provides a basic understanding of the requirements for a QMS based upon AS9120 Revision A – Quality Management System Requirements for Aviation, Space and Defence Distributors. It covers areas of management responsibilities and provides guidance to managers/supervisors on what needs to be in place to meet the requirements of the standard. A review of the AS9120 Rev. A standard followed by in-depth instruction on the skills and techniques required to participate as a member of an auditing team.